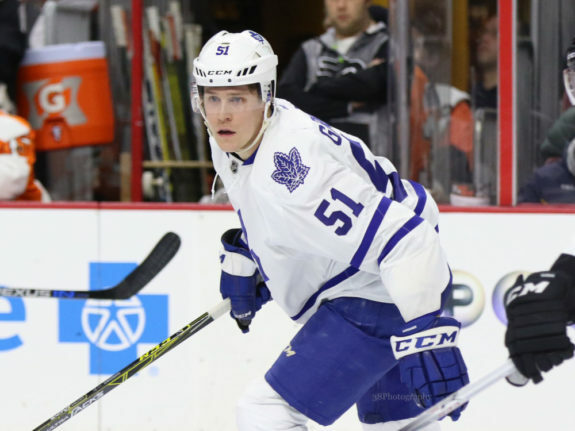 In today’s rumor rundown, there is news on the Maple Leafs and their talks with defenseman Jake Gardiner, how they view the rental market prior to the trade deadline while the Vegas Golden Knights see their improvements coming from within. Plus, what’s the latest on Andre Burakovksy? Terry Koshan of the Toronto Sun is reporting the Toronto Maple Leafs, namely, GM Kyle Dubas has spoken with pending unrestricted free agent Jake Gardiner about a contract but to hold tight as the team has other pressing matters to attend to first. Dubas noted what everyone already knows about the Maple Leafs which is that the pie is only so big and they will have challenges trying to divvy it up. That could leave Gardiner on the outs if he’s looking to score big in free agency. Despite Dubas saying he will look to improve his blue line, he also conducted an interview with Pierre LeBrun of The Athletic in which he noted the Maple Leafs would not be looking to the rental market as a way to boost the success of the organization this season. I don’t really look and see many pure rentals that really change the dynamic of our group. So anything that we’d be looking at would be players that probably have some term. That’s why it’s important for us to continue to work on those agreements with Auston and Mitch so we can have some cost certainty with them, so that we can look to improve our team this season and beyond. This is quite interesting considering the Maple Leafs are widely viewed as a team that could benefit the most by adding a rental defenseman or depth forward and letting them leave at the end of the season after the team makes their run. 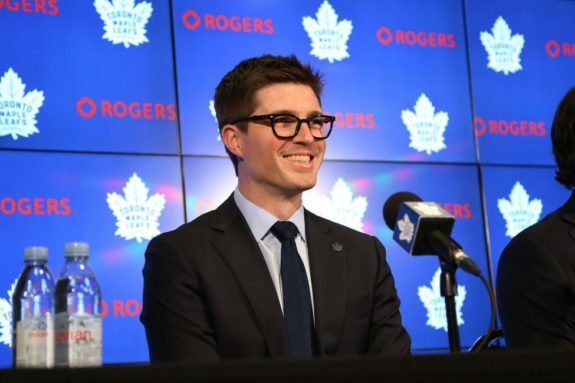 It perhaps hints that Dubas expects to have deals in place with Auston Matthews and Mitch Marner prior to the trade deadline. 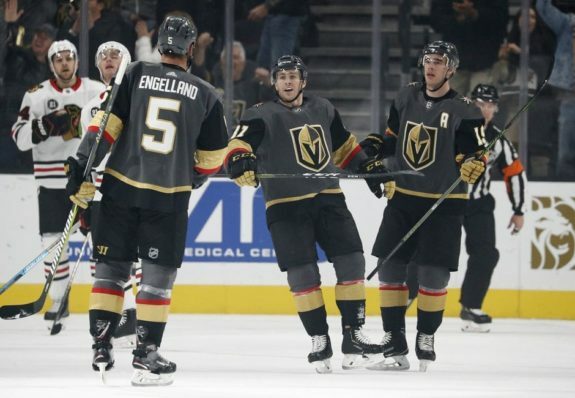 Other teams may try to work out deals prior to the December 19, 2018 roster freeze but not the Golden Knights who said during an interview with David Schoen of the Las Vegas Review-Journal, that they will look internally to propel them forward. GM George McPhee indicated that they’re not actively pursuing deals. The Knights are 11-3-1 since Schmidt’s return on Nov. 18 and are as close to full strength as they’ve been all season. That likely will discourage McPhee from looking for upgrades prior to the NHL’s holiday roster freeze, which runs from 11:59 p.m. Wednesday through Dec. 27. McPhee said, “We like our team as is. When we’re healthy, we’re a good team. So, it’s not as if we’re actively looking for anything. We’d like to have all of our growth come internally.” He noted specifically players like Alex Tuch or Oscar Lindberg or some of their young defensemen stepping forward. There’s certainly truth to the rumors that Andre Burakovksy — who will be a healthy scratch in his fourth consecutive game tonight — is trade bait out of Washington. Isabelle Khurshudyan of the Washington Post writes the Capitals have received calls from teams asking about his availability after Chris Johnston of Sportsnet reported on the weekend that the Vancouver Canucks were one of the teams. A spike in trade rumors is natural when a young, skilled forward is in this situation, potentially in need of a change of scenery. But while the Capitals are listening to offers for Burakovsky, they’re not in a rush to part with him and not actively looking to deal him. They’re not closed off to the idea, either, especially if there’s something worthwhile in return.